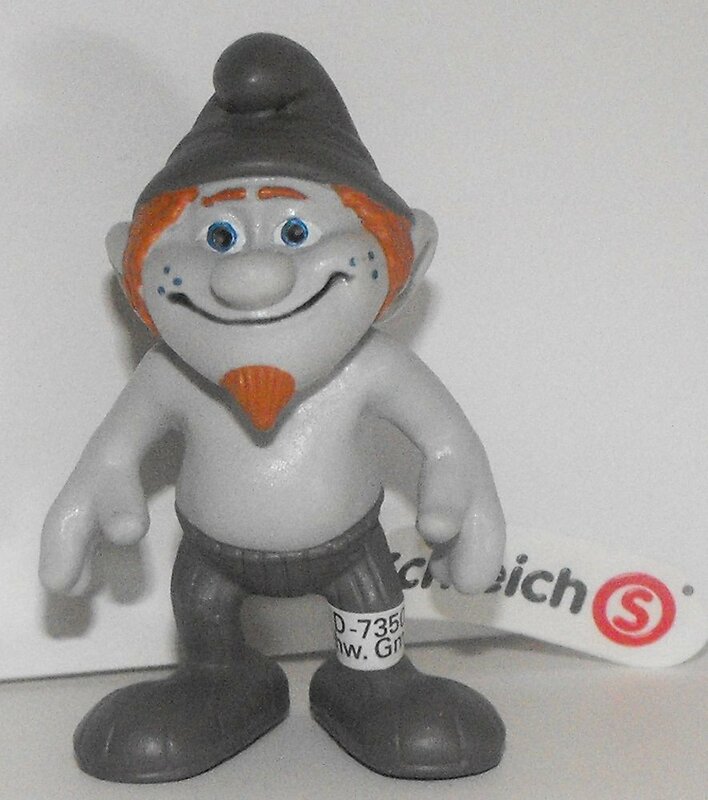 This Hackus from the Smurfs miniature is about 2 inches tall and made of plastic. This is from the collection of Smurfs distributed in 2013 as part of the Smurfs 2 Movie Set. Made by Schleich.